How many of us raising bilingual children wished we can send our kids off to an-all Spanish camp all summer? I do! If Spanish immersion camps are limited or not available where you live relax! I’ve got you covered. Below I’ll share with you a 6-day plan to immerse your child in Spanish. This can be done with home schooled kids, play dates, or an actual Summer camp. (However, this last option you’d have to present it to the director and ask for permission to do it). 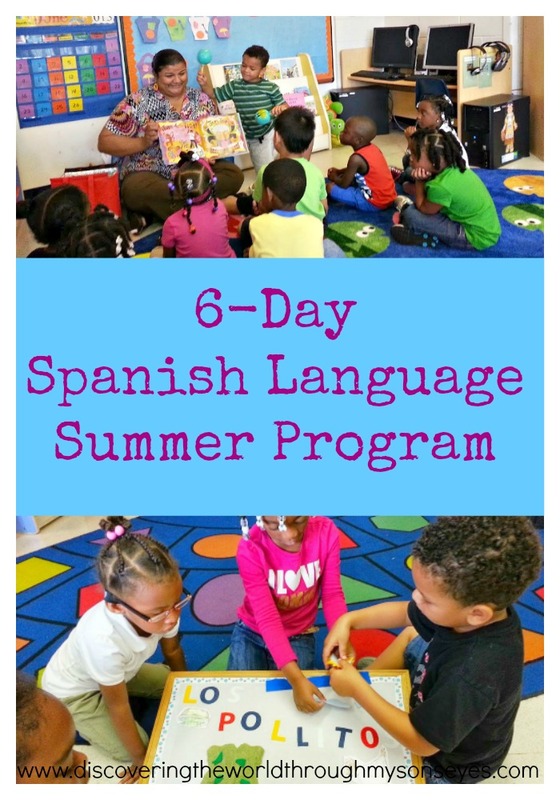 I am happy to share with you an easy Spanish Language Summer Program that you can do with your kids. I did this with my son’s preschool camp back in the day. He’s a rising 4th grader now, but this summer program will always hold a sweet spot in my heart. You can also complement your Spanish language summer program with an Around the World DIY Summer Camp Ideas that the kids will love!